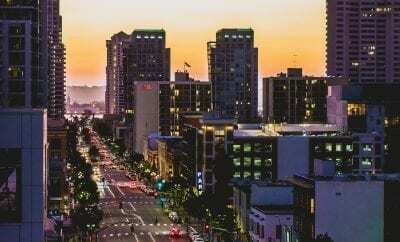 San Diego is made up of a bunch of little towns and neighborhoods with each one having its own personality and quirks. Pacific Beach, or PB to locals, is notorious for being a thriving beach town full of fun bars, great nightlife, and vibrant crowds. 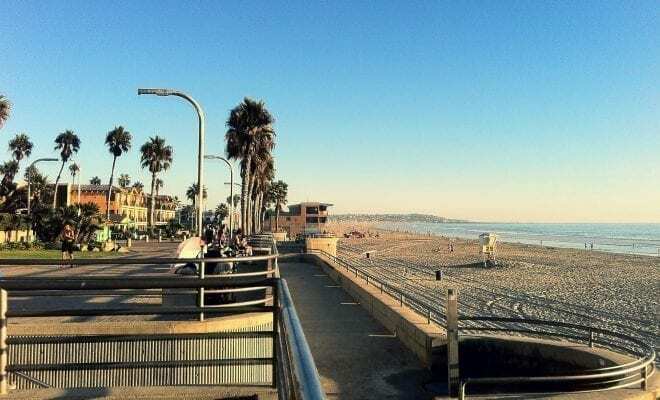 Anyone that has spent time in Pacific Beach will tell you their favorites and we have some of our own. Whether you want to relax and drink overlooking the beach or dance the night away, Pacific Beach has any environment you are looking for. Here is a list, in no particular order, of the best bars in Pacific Beach, San Diego, and what each one has to offer. From the handcrafted ceiling and custom surf-inspired art pieces to the name itself, the vibe consists of ocean breezes and sun-kissed skin. The atmosphere is casual and jives well with the beach town. They offer an elevated drinking experience by serving classic cocktails, craft beer, and great music. You won’t, however, find typical bar food fair here. You’ll be treated with dishes like beer steamed mussels, surf ‘n turf with roasted poblano & cilantro rice, and tableside s’mores. This gastropub located on Mission Boulevard draws in a ton of traffic each night, for good reason. A local legend among PB bars, Firehouse has long been a staple in the nightlife of this town. American eats & clever cocktails, plus an upstairs, outdoor patio with DJs and club vibe after dark. 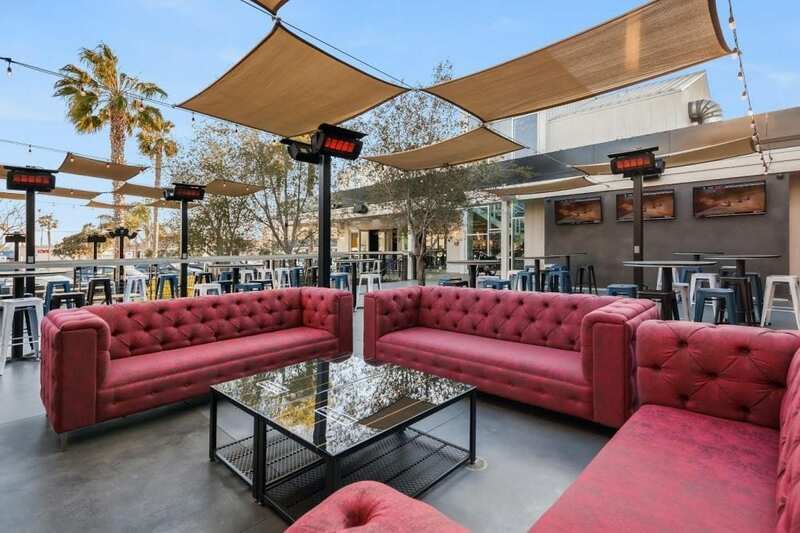 With incredible rooftop views, Firehouse makes for a perfect place to catch the PB sunset while enjoying some drinks with your friends. It’s also a fun place to grab brunch by the water with friends and enjoy some cocktails, or a top choice for Sunday Fun-day. During the weekends, you can find this place to be one of the central hubs of PB nightlife, so expect it to be pretty crowded. 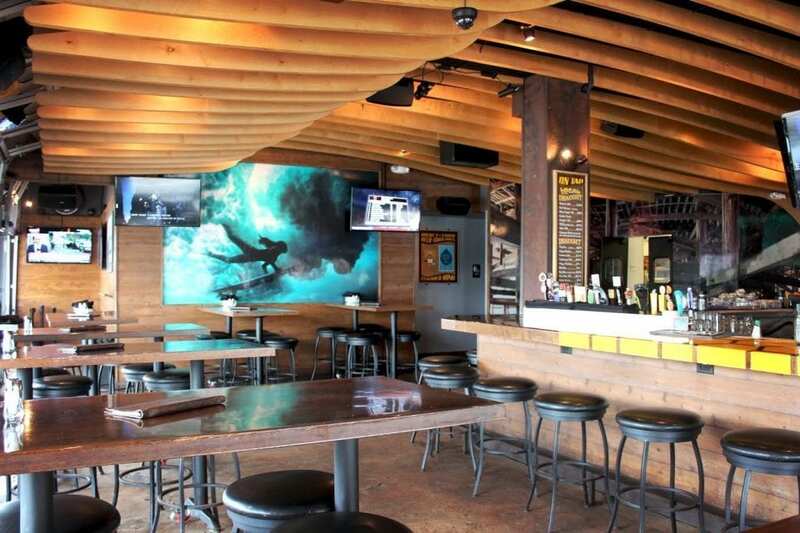 Out of all the bars in Pacific Beach, Barrel Republic may be the most unique. 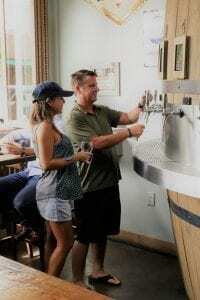 Rather than ordering your beer at a bar, you are given a wristband that allows you to walk throughout the bar and pour your own beer or wine from over 40 taps. It’s a truly unique experience for beer and wine lovers alike. Each tap has a description of the type of beer, and cost per ounce, so that you can try a little bit before committing to a full pint. Scan the wristband at one of their taps around the bar. Sensors in the wristband track how much you pour and charge you accordingly. This place gives you the unique ability to sample all kinds of beers without having to break the bank. Barrel Republic has a laid-back vibe where you can chat with friends and play board games. If you want to try some unique local brews and have a good chat with a friend over some popcorn, then head to Barrel Republic. Since 1997, Tavern has been a prime nightlife destination for PB. Located on the corner of Garnet and Everts, this industrial-style bar serves customers with a massive central bar, bringing a vibrant setting that is perfect for a day spent at the beach. With a full menu featuring top quality ingredients and specially crafted cocktails, there’s something for everyone to keep the party raging long through the night. Tavern is usually filled with college students and young professionals, giving it a fun, upbeat atmosphere. There are booths, casual table seating, and once it gets a little later into the night, a dance floor takes off. Tavern is a great mix of both locals and tourists, so if you are interested in meeting new people you can always find someone unique to socialize and dance with. With a prime spot on the PB boardwalk, this restaurant and cocktail bar with expansive ocean views is one you don’t want to miss. Their menu is heavily inspired by coastal seafood cuisine, and a cocktail menu ranging from light and refreshing to spicy and heavy-spirited. Their “fish bowls” are perfect for sharing, including a spiked sangria. When you go to Backyard, you are destined for a successful night. 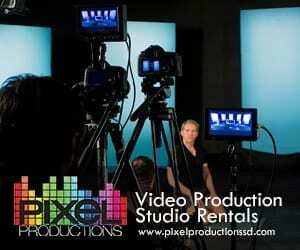 It is in one of the best locations in Pacific Beach, located only a block away from the ocean on Garnet Avenue. Upon entering, you’ll find a wondrous lounge area lit by a fireplace, along with a dance floor that is practically begging you to show it some of your moves. 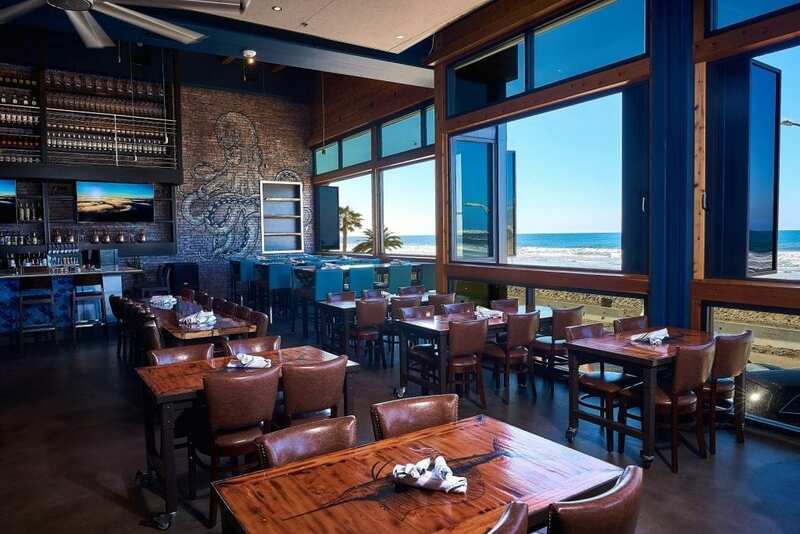 Backyard Kitchen & Tap is teeming with chic coastal energy that will have you loving the vibe. Complete with outdoor cabanas, a dog-friendly patio seating, and cozy fire pits, you’ll instantly fall in love with it. Get to Backyard early though, because a long line will form no matter what day of the week it is. Backyard is a great place to start your night after a long day at the beach to grab something to eat alongside one of their signature craft cocktails. 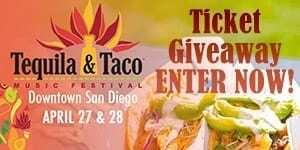 It’s also a great restaurant to go on Taco Tuesday, but be prepared for a wild evening. 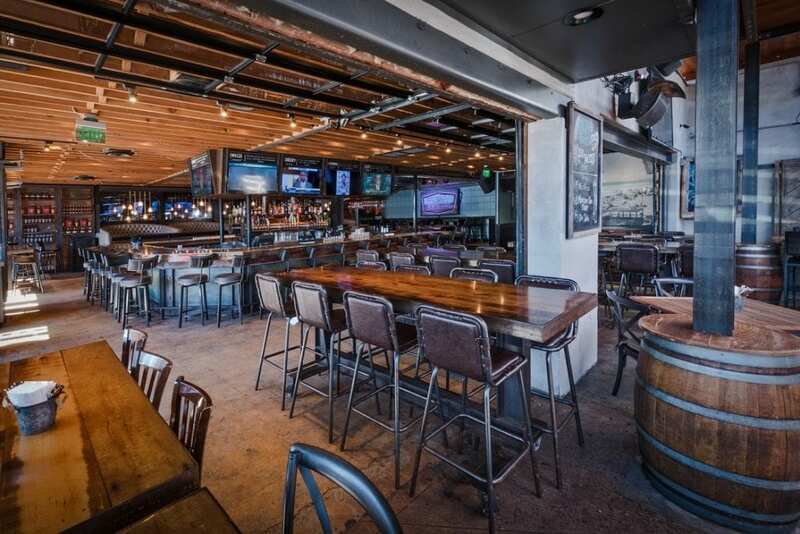 Mavericks is in the former home of PB Bar and Grill, and boy did this space get an upgrade! The two-story venue includes a wide-open central lounge area, several bars, indoor and outdoor options, and lots of space to dance. That means there are lots of nooks and crannies to explore. They often have a DJ spinning beats all day on the weekends. Their menu includes unique cocktails and delicious food creating a perfect atmosphere for large groups. Grab a drink at one of their five bars, and get ready to dance around at this spacious bar. A bar, restaurant and rooftop patio all in one. El Prez puts a big focus on tequila, sunshine, and tacos. 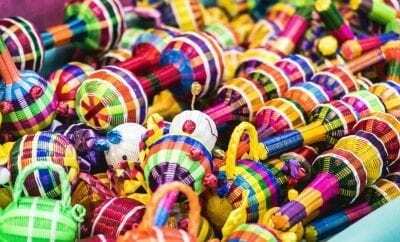 This is the premiere fiesta spot on the boardwalk of PB, with a massive selection of tequila, and a menu offering some of the very best Latin America flavors. Don’t skip out on checking out one of the best rooftop bars in San Diego. Baja Beach Cafe is the perfect little beach bar and restaurant. More of a dive-bar vibe, it’s always full of fun and happy people. They have an exceptional margarita menu that features over 10 different styles of Margaritas. The view from the patio is one of the best views in all of Pacific Beach. You can see the PB Pier and are directly on the boardwalk. The sunset from Baja rivals any other place in San Diego. Once the sun goes down, Baja is the perfect place to grab a drink with friends. They have a DJ on staff that plays some classic beach, house, oldies and dance music. You’re invited to let loose or sit in one of the booths to chat. This award-winning brewery consists of remarkable ocean views as far as the eye can see from the second floor. The first floor is inviting, offers a comfortable space, and instantly comes to life at nighttime. It’s the perfect restaurant to enjoy a craft beer and watch the game or dine on a delicious and memorable dinner. The location is at the very end of Garnet and directly across from the ocean. Shore Club is located at the end of Garnet Avenue and is right next door to PB Ale House. No matter where you are on the rooftop at Shore Club, you will have a breathtaking panoramic view of the ocean. The beachfront party ambiance of this bar specializes in dishes with an unbeatable Mexican flare. This bar will guarantee the best beach, drinking, and dining experience in all of Pacific Beach. This country-themed bar will ensure a memorable night full of dancing and drinking. There are drink specials on various nights of the week and line dancing lessons on other nights. Also, live country singers perform the night away weekly. You can get tickets or see these performers for free, based on the performer’s popularity and ticket availability. Keep in mind, there is usually a cover fee at Moonshine Beach. Located on Garnet Avenue, Tap Room has some of the best pizza in Pacific Beach, plus an amazing craft beer selection. Their fun and friendly staff make this classic spot a great place to catch up with friends over a few drinks or bring your dog since there is a dog-friendly patio. With nightly specials and an ever-changing tap list, it’s a bar you can return to again and again.